Please allow 3 weeks to get your metal monogram engraved. 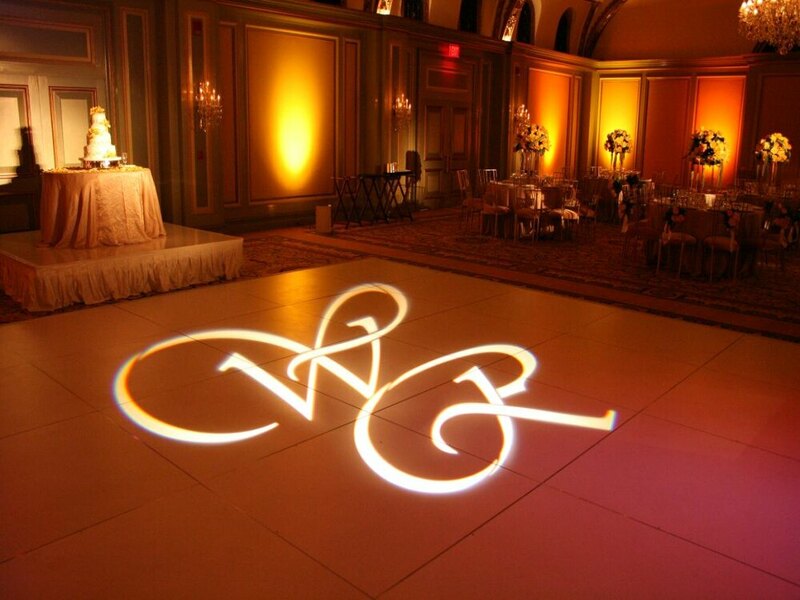 Monograms are projected onto the wall, floor or ceiling using a spotlight. A monogram is an engraved piece of metal with a design usually of the names of the bride and groom, or a company logo. The light passes through the metal openings to create the projected image. After your event is over you get to keep your metal monogram.